عندما تزور برث, ستشعر أنك في بيتك في أدينا للشقق الفندقية بيرث باراك بلازا الذي يقدم لك إقامة متميزة و خدمات عظيمة. يمكن من هنا للضيوف الاستمتاع بسهولة الوصول إلى كل ما تقدمه هذه المدينة النابضة بالحياة. بالنسبة لمن يريد الخروج، هذه بعض المعالم السياحية المتوفرة للزوار Marc Pinto Gallery - Tribal Art, City Gifts & Souvenirs, ‪Old Court House Law Museum‬. إن أدينا للشقق الفندقية بيرث باراك بلازا حريص على توفير الراحة للنزلاء، فلا يوفر الموظفون جهداً في تقديم أفضل الخدمات وضمان حسن الاستقبال. هذه بعض الخدمات الموجودة في هذا الفندق: واي فاي مجاني في جميع الغرف, مكتب الاستقبال على مدار الساعة, مرافق مخصصة لذوي الاحتياجات الخاصة, تسجيل وصول/خروج سريع, تخزين الأمتعة. تعكس غرف الفندق البالغ عددها 100 المنتشرة في 9 طوابق جواً من الدفء والألفة.خدمات عصرية مثل سجاد, غرفة معيشة منفصلة, تلفزيون بشاشة مسطحة, كاشف دخان, غرف لغير المدخنين موجودة في بعض الغرف المختارة. يقدم الفندق مجموعة رائعة من الخدمات كمثل مركز للياقة البدنية, ساونا, حمام سباحة خارجي، لجعل إقامتك تجربة لا تنسى. استمتع بخدمات لا يعلى عليها وعنوان ذو اعتبار في أدينا للشقق الفندقية بيرث باراك بلازا . يتم فرض رسم إضافي قيمته من 1.2% إلى 2.5% عند استخدام البطاقات الائتمانية. يُرجى الاتصال بالعقار لمزيد من التفاصيل. I stay here for 5 nights. We arrived at night but the font desk greet us with great service. During the stay, every time we ask the staffs for help, they respond fast and efficiently. The facilities are nice and clean. 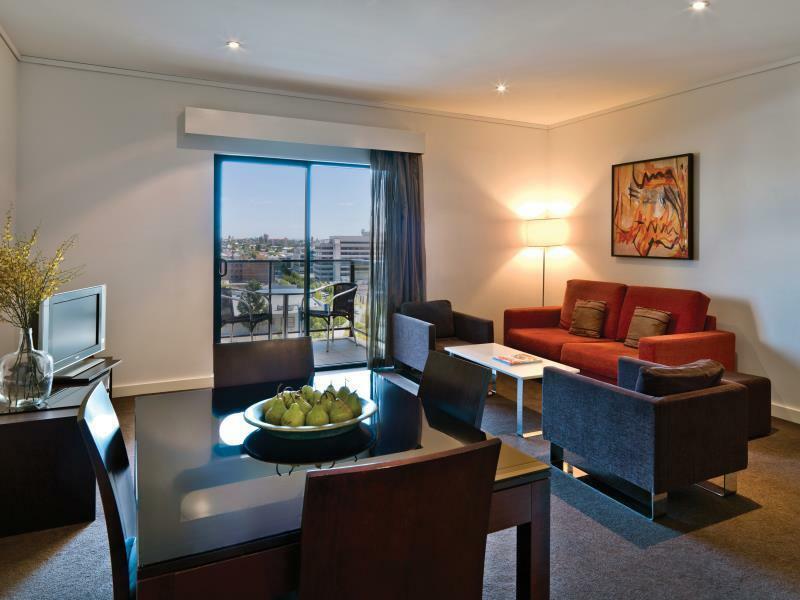 If you need to stay in the CBD this is close to nearly everything. The area surrounding the premises is not the best and you would not want to walk around or near the Perth Railway Station late at night. The apparent is at the end of Murray street mall. If you ask for parking in the book you will get it. I always ring a couple of days before just to make sure as the parking is limited. The fridge door wasn’t clean. I have stayed here many times. It’s great for families. 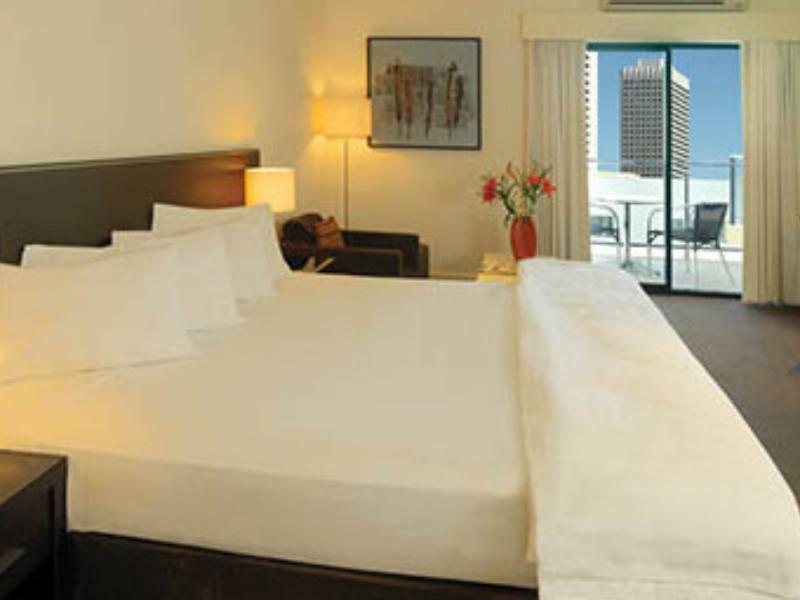 The hotel was conveniently located with walking distance to the Train Station, Pier and shopping area. There’s a Woolworths within few minutes’ walk. The hotel provides free WiFi and the staff were friendly and helpful. Room was great! We enjoyed our stay very much! We stayed in the 2 bedroom apartment. 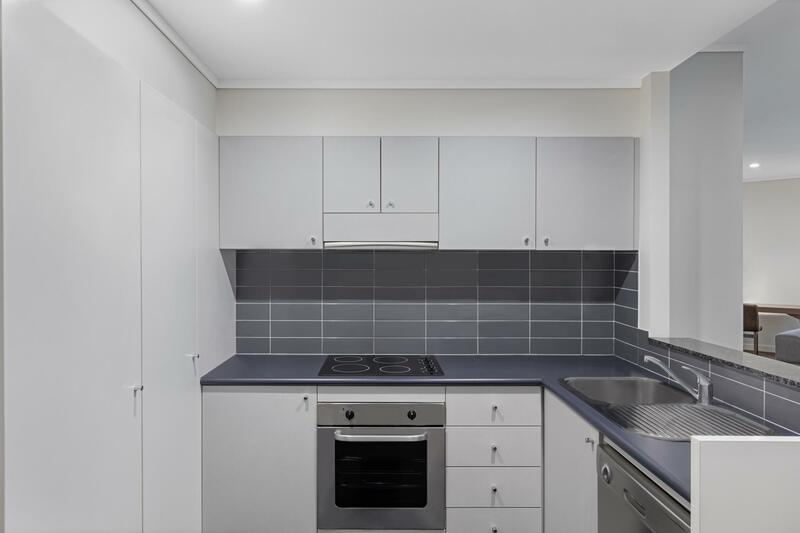 Very good location, close to everything, shopping area is just 2 min walk away, opposite Perth train station and free CAT bus. 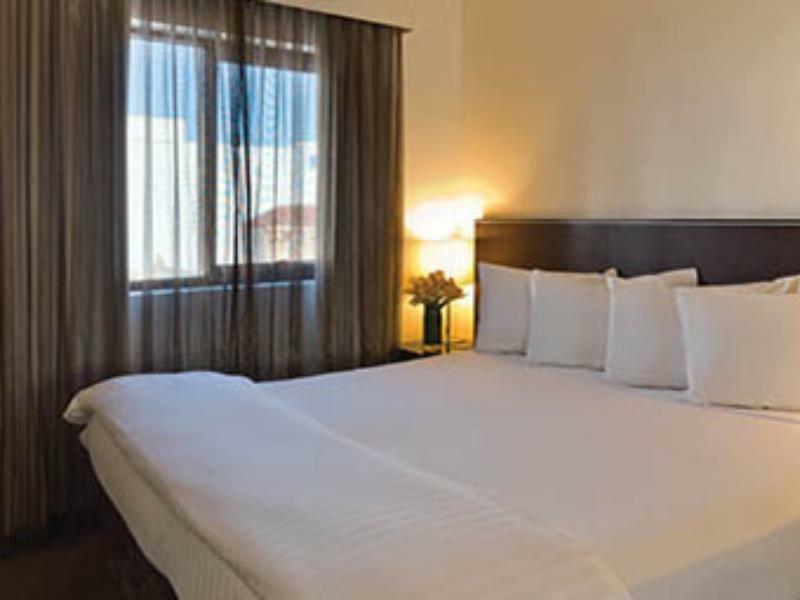 Very comfortable apartment with good facilities. However the housekeeping did a rough job on one of the days we stayed, left the dishes uncleaned, did not refill the toilet roll, left rubbish on the floor. Other than that, it's as good as you can get for the price you paid. I've stayed here quite a few times due to the location and proximity to the station and supermarket, etc. However this time my room had a disgusting, mould like odour. I informed reception who were unable to move me as they were full that night, I was able to move the next day though so problem solved. By that time though the smell had permeated all my clothing, my bag and even my lunch bag! Well equipped amenities just what my family needed. Clean and comfortable. Parking bay easy entry n exit. Location just 2mins walking to shopping area. Theres a 24/7 convenience store down the road. Love it. Very helpful staff & frendly , especially Ms Mimi . Good facilities & great accomodation. Town centre location, 5 min walk to shopping centre, bus & train station. There is halal Msian Restaurant " Insan Cafe " next to the building. I have just booked what will be my third stay in as many years! great location for getting around by train and bus. Supermarket just across the road in the mall so perfect for self catering. pool is a bonus and a must for summer in Perth. Staff are always friendly. While no onsite restaurant a little cafe has now opened down stairs fo and is lovely. Theres also the bar next door that do room service even when they are shut (closed one day a week). Rooms are large enough and beds comfortable. Ill keep coming back. Perfect location for shopping. Lots of Halal eateries within 10muin walk. There's 2 across the street. Train station was also justa 5 min walk. CAT bustop was also 5 min walk. Apartment was fully equipped allowing me to cook my pre dawn meal daily & wash my clothes. Definitely highly recommended. Price was on a high side. 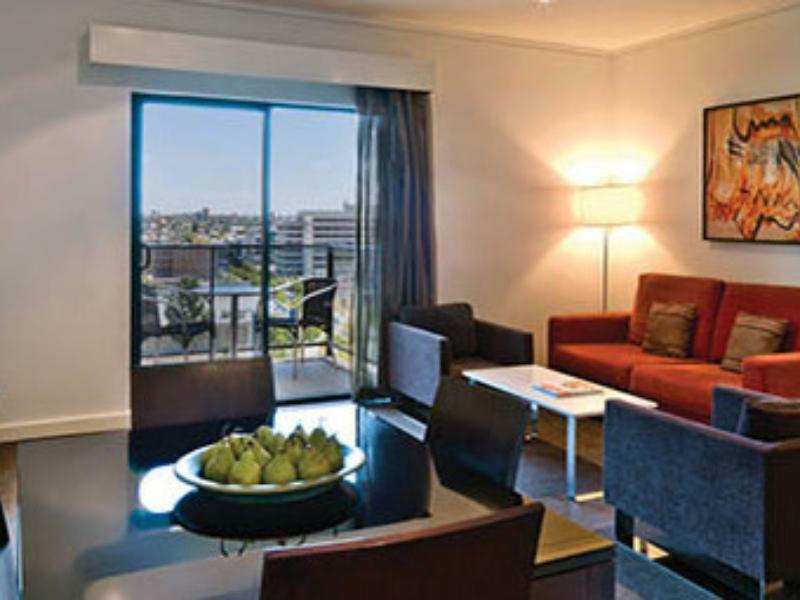 In the vicinity to many sites in Perth, enabling us to use Adina as a base to walk, tram, train or even day tour. Staff were helpful. Facilities were complete with washer, dryer and dishwasher. However they are not in tip top condition. At the end of the day though, we come back to a clean room. Suitable for families who need space. Price is appropriate. Will return. 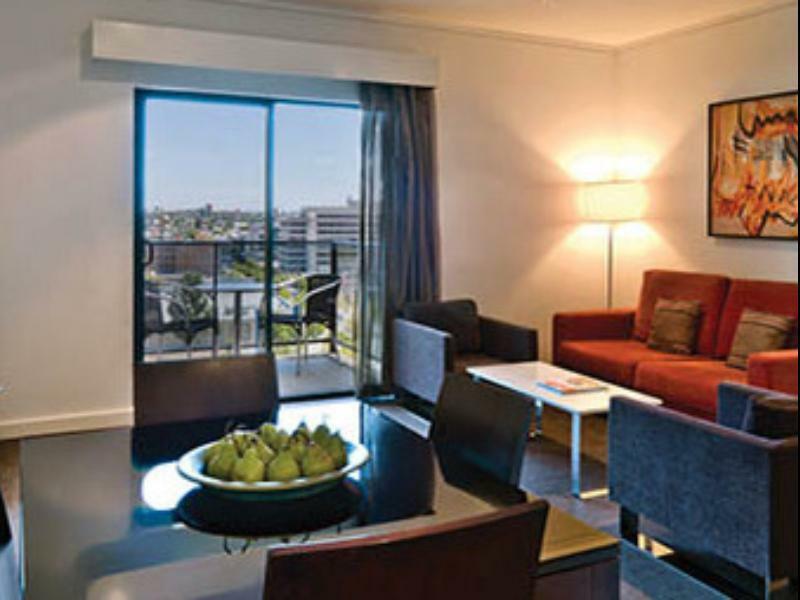 we spent four nights in this apartment hotel, we get upgraded to deluxe apartment upon our arrival in the midnight. 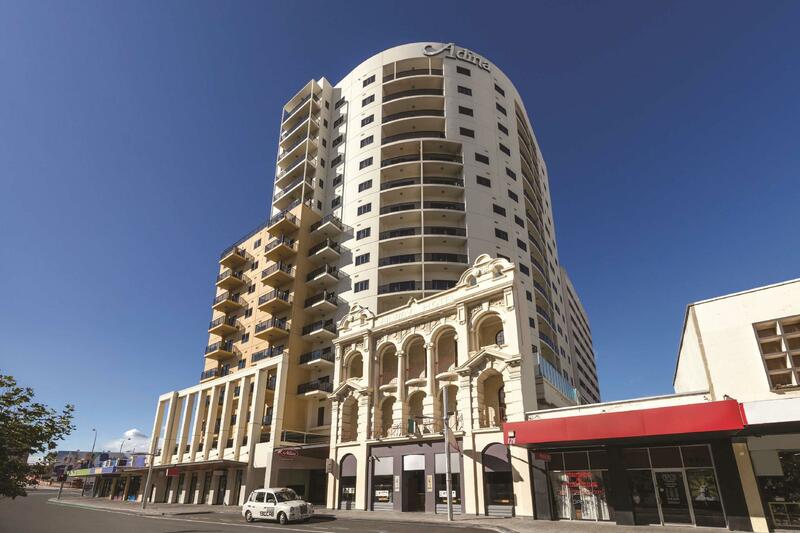 location is great and central, walking distance to the shopping street in Perth. only one thing not satisfy us is no FREE WiFi available in the apartment. The staff is very good and helpful. The location is very good. Near to CAT bus and train station, halal restaurant (Lebanese & indonesian), shopping complex, 24 hrs store and place of interest in Perth City. The stay at adina was great. The staff are very friendly especially Linda. She is nice to help you. The first day was quite bad for me to check in the hotel. I believe they have lack of staff for room cleaning. The dish are clean by the washing machine which was still dirty and full of soap. The room we get is big and quite quiet. It was a pleasant room and really worth for money.All the facilities like washing machine and fully equipped kitchen are there for you.